Orthopedic surgeons deal with different types of musculoskeletal ailments through surgical and non surgical processes. Such ailments include osteoporosis, trauma, congenital deformities and arthritis. An orthopedic may employ a number of procedures in administering treatment, and these processes may entail resection, aspiration, open release, limb salvage or reduction. Resection involves partial or complete removal of a bone, and an orthopedic surgeon may use this procedure to help a patient deal with a diseased joint on the foot. Once the bone is removed, a space is created between the joint and the bone itself, after which scar tissue grows and takes up the space. This provides the patient with more flexibility. The procedure can also be employed to remove bunions on areas such as the toes, thumbs, elbow and wrists. Aspiration is a procedure that is performed to deal with problems affecting the bone marrow. During aspiration, the surgeon uses a needle to remove some bone marrow fluid for testing. 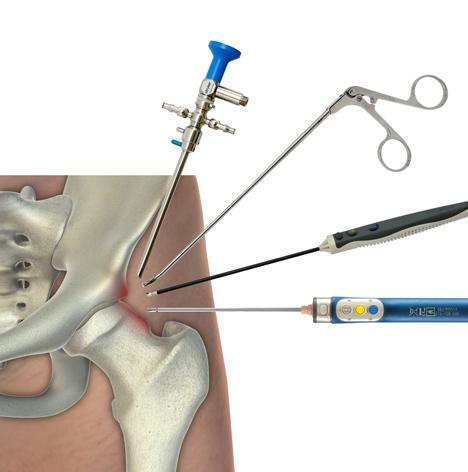 The needle may be inserted through the skin and into the bone from the pelvic bone; though for young children and babies, the needle may be put through some point located below the knee. In some instances, aspiration may be done to help eliminate excess fluid in a joint. When it comes to dealing with problems of the muscles and tendons, a surgeon can use open release in which a ligament may be cut in order to relieve pain and release pressure. Open release is one of the recommended treatment options for a patient who has gone through non surgical treatment without success. Also, the same procedure may be carried out if there are tumors that need to be taken out or if the patient is at risk of nerve damage. The procedure is usually applied on ligaments in the wrists or hand. Through limb salvage, a tumor or an infection can be surgically removed without amputating the affected area. This particularly applies during treatment of bone cancers and tumors. The procedure may also be helpful in dealing with infected tissue on which there is poor blood circulation. Although a bone can be removed through amputation, an orthopedic surgeon can avoid this by taking a bone from another part of the body and using it to replace what has been removed in the affected part. Reduction is a process that entails manipulating a dislocated joint or fractured bone in order to have it properly aligned. In carrying out the procedure, an anesthetic or sedation may be used. The process is typically employed where fragments are displaced due to a bone fracture. To enable the bone to heal, the fragments have to put back in their normal position. An orthopedic surgeon will in this case, try to do the realignment through reduction. The treatments provided for bone problems vary with the cause and severity; and only a surgeon can help you find the most appropriate option for your condition. Thus, if you experience any joint problems, you should look for help so that the issue doesn’t come between you and a comfortable lifestyle. Comfort Measures From A Dentist What comes to our mind when you think about visiting a dentist in Manhattan?